These Six Experts Want to Give You Their Best-Kept Marketing Secrets. What you'll discover over the next six weeks could literally change your life. That's because I gathered six expert marketers and got them to spill their best strategies, tips, and tricks for getting a massive return on investment using Facebook ads, joint venture partnerships, membership sites, webinars, and more. And when I say "experts", I don't mean some guys I met in a Facebook group. I'm talking industry-recognized consultants who've each made millions for their clients. Like the webinar expert who helps Clickfunnels founder Russell Brunson dramatically improve his webinar results. Or the expert who helped ASK Method founder Ryan Levesque use joint venture partnerships to rapidly scale his business. Or the copywriter who worked directly with legendary copywriter Gary Halbert. And what you'll learn from them you won't find anywhere else. Every successful entrepreneur I know relies on experts like these to exponentially multiply their success and make millions for their small business. Which is why, if you're serious about making millions by becoming a celebrity in your niche, then you'll understand how valuable this marketing training really is. I call it the Celebrity Method Masterclass, and this 6 module course is available for a limited time as an on-demand course delivered over the next six weeks. Webinar expert Joel Erway shows you how to create a webinar that sells. He explains when to use a webinar and when NOT to use a webinar. He's helped experts like Russell Brunson, Kevin Rogers, and now he'll share his profit-boosting secrets with you. The first thing someone needs to know about webinars to put together their first (successful) webinar. Is your offer the right fit for a webinar? Find out in minute 7. Webinars are best at doing THIS, according to Joel (minute 8). The single question Joel asks when he helps clients build successful webinars. Chances are, you’re getting this wrong. The price points which work the BEST for webinars (it’s probably higher than you think). The reasons why webinars work so well for most products. The technicalities of webinars – what webinar service, how often to send emails, and more. Live webinars vs. “fake” live webinars vs. automated webinars, and why you should always do live webinars before you try automated webinars. How to get attendees for your webinar. Do the fixed webinar structures actually work? Joel shares the three essential components of any webinar. Why your webinar is likely NOT too long, and the recommended webinar time for most webinars. The BIGGEST mistake Joel Erway says to avoid at all costs. When you want to go direct to automated webinars vs. when you want to test live webinars first. Paid webinars or free webinars? What types of backgrounds? Slides or talking heads? Branded or “ugly” slides? Joel reveals which work best and why. 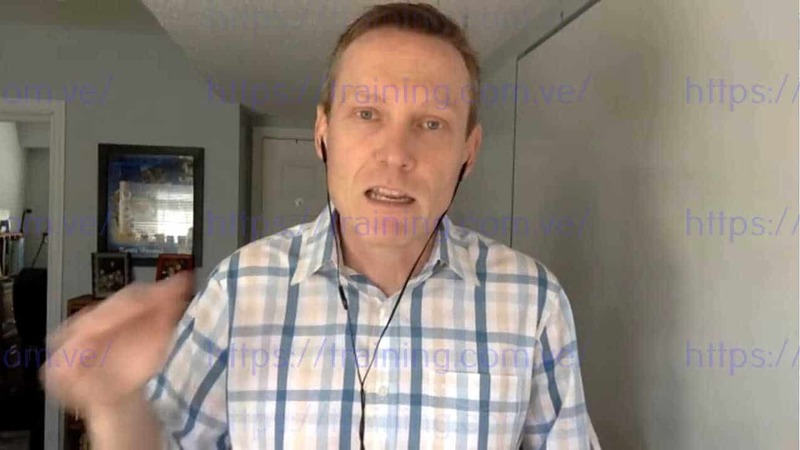 Joel’s secret for re-purposing webinar content to leverage your time and get more marketing content for the same work. "Endorsed Traffic" expert Andy Hussong shows you how to create joint venture partnerships which fuel your marketing campaigns without advertising. He's worked with well-known marketers like Ryan Levesque to get them millions. The simple definition of "JV Marketing" in the online space according to Andy Hussong. Why mandatory reciprocal partnerships aren't always a good idea. The two behaviors which will RUIN your reputation within the JV community. Is there such thing as a bad traffic source? Andy weighs in. Discover the powerful benefits of JV partnerships that regular advertising won't give you. The power of "Endorsed Influence" and how it can catapult you from unknown player to well-known leader of a niche in a very short period of time. Andy reveals his "P.A.R.T.N.E.R. Persuasion Path" and how it creates powerful endorsed marketing campaigns. The two things you need to create to be ready for joint venture partnerships. The surprisingly low number of partners it takes to run a successful JV promotion. Which software to use to track affiliate sales, and why it's easier than ever to figure out how you're doing. How much should you pay affiliates? Andy reveals how to figure it out quickly and why digital products may have a different rate than software products. How to incentivize JV partners to join your program early. In minute 28, Andy reveals the BIGGEST mistakes entrepreneurs make which hurts their chances of success. How quickly should you pay people? Andy reveals why paying people early is so, so valuable to keeping JV partners. A quick tip for getting positive JV partnership endorsements. Andy's recommendations for using JV networks, and how to figure out which would be best for you. The best ways to find and connect with potential joint venture partners. The $7 million dollar case study proving the power of joint venture partnerships. Jorge Diaz is an Infusionsoft Certified Consultant, a Memberium Implementation Partner, and a membership site expert. He helps entrepreneurs build highly converting WordPress membership sites. Different ways to deliver a membership site... from a car repair shop's site to a meditation app. The question Jorge insists you ask when you're thinking about marketing your site. How to get people over the "first hump" in doing business with you... and how this leads to increased sales over time. The information entrepreneurs should be prepared to build or do to launch a successful membership site or course. The single biggest obstacle that gets in the way of building a great site -- and it's NOT the tech! The magic price point for membership sites according to Jorge and the mistake most entrepreneurs make when it comes to pricing their course or membership site (minute 16). The "Beta Test" secret to getting advanced social proof for your course or membership site, and how this can help you get more money from your site. The "Minimum Information Needed" strategy for quickly building a profitable course. The importance of building powerful Facebook groups and communities... and how this can contribute to the "stickiness" of a membership site. The biggest mistakes entrepreneurs make when launching their site. What to look for in tech solutions, and why easy-to-navigate beats pretty every time. How to spot trends and build courses around them. No interview with marketing experts would be complete without Ben Settle, the "Email Player" and leader of sales emails. He teaches you his philosophy behind creating emails that rake in the profits. The email guru Ben Settle looks up to and the principles he applied which made his business more successful. Why Ben Settle says you should email your list “at least once a day”... if not two to three times. The simple components of a perfect “Ben Settle email”, including the SINGLE way to avoid having nothing to write about. The weird connection between Wing Chung and selling to your list. Ben’s single biggest piece of advice about how to determine what product to create next. How long should emails be and how do you know what the ideal length is? Ben reveals his answer in minute 13. The “Molehill Secret” to selling with emails which GUARANTEES your emails will fascinate your audience and make you more money. Why Ben thinks it’s selfish to not put links in every email you send (his explanation will change the way you look at emails forever). Why you should THROW AWAY every “goodwill” and “nurturing” sequence in your marketing and do THIS instead. The one thing that will turn people off more than anything else in your email copy, and the big connection between dating and marketing you don't want to ignore if making 7 figures is your goal. The software Ben Settle uses to send emails and the one reason he doesn’t personally endorse any single email software. The surprising reason email data like open rates and click through rates might not even be accurate. Why Ben says you’ll get fewer spam complaints with daily emails than you will sending less often. How to come up with email ideas through Ben’s persona-based “content curation” process. How to use your personal interests to create interesting emails that people will BEG you to send them. Why Ben believes copywriting is so much simpler than you’ve been lead to believe, and how, if you can do this one thing, you’ll sell better than your competition. The Rush Limbaugh strategy for creating compelling email copy... and why you should always inject your personality into your emails. The pitch-last approach to building long-term relationships with your list members. The “fascinating conversation” secret to writing engaging emails. Ben Settle's shockingly simple business model is revealed step-by-step in minute 38. The Ken McCarthy philosophy Ben embraced which revolutionized his business. Ben breaks it down into easy-to-follow steps. How Ben Settle virtually ELIMINATES his spam rate and makes six figures… even when his opt in rate is “poor". The Seinfeld secret to achieving success, and why proficiency is the LAST thing you should worry about when you learn new marketing skills. Rory Stern is a Facebook advertising expert. In this interview, he describes how Facebook advertising works, his philosophy about reaching buyers, and how to create better advertising campaigns. Rory reveals the underlying purpose of Facebook and how this directly relates to the success or failure of your Facebook ad campaigns. Why, if you're trying to advertise on Facebook like you do on Google, you're making a big mistake. The two fundamental principles behind successful Facebook advertising campaigns. Why fear-based and highly negative ads DON'T work on Facebook, and what to do instead to make your ads more profitable. The difference between calling out a problem and describing the negative experience of having that problem, and why picking correctly is so important. How to construct a "Free Plus Shipping" funnel so you don't lose your shirt when you launch. The three ways your business can acquire a customer and what this has to do with your bottom line. The unconventional tweak Jason made to his "Free Plus Shipping" funnel to attract a higher quality customer across his entire funnel. Why Rory believes that Facebook is the easiest platform to start and run ads on. How to use your first few hundred dollars in ad spend to get you proof of concept, which will give you the data you need to scale. The "Unicorn Funnel" and why it might explain your hit-or-miss success on Facebook. The length of time it REALLY takes to get results on Facebook according to Rory. The "Playbook Secret" to figuring out Facebook ads, and the refreshing reason Rory doesn't have a Facebook ads course. The single type of ad Rory LOVES to use and how to strategically tweak this type of ad to get you more clicks. The importance of adding lead capture devices when you're implementing a funnel. At minute 36, Rory talks specific price points and which tactics work best... plus the highest price point he's ever sold using a webinar. How to get over $8,000 out of a buyer without having a super high ticket product offering. How to scale up your Facebook ads without killing your conversions. Nate Slade is an Amazon selling expert who helps entrepreneurs discover profitable products and then position them successfully in the Amazon marketplace. Discover how to find products for sale and get reviews for your Celebrity Method-style book. How to manufacture demand for your product in advance of a launch. How to figure out the demand for any product type on Amazon. The specific criteria Nate evaluates before he decides to launch a new product. The “Magic Window” Nate looks for when he enters a new market. How to dig into product reviews to know exactly what will sell and how to write your listing most effectively so it sells. How to get initial reviews for your product so you “seed” your listing with good reviews – and Nate reveals how to do it ethically. Nate reveals his step-by-step process for getting advanced reviews… including what he says in emails to get reviews. What you want to AVOID in your reviews so they don’t scream FAKE REVIEW. Who ask to get reviews, how to make giving reviews sound exciting. How long does it take to become profitable? Nate gives his answer in minute 12. How to maintain your ranking once you’ve achieved profitability. The type of buyer you want to attract and who you want to avoid. Why Nate sells TOOLS… and what you can learn from his choice to sell more of your product. Nate’s fulfillment suggestions and how to get the “Prime” notification on your listing. How to avoid stocking inventory that Amazon won’t let you sell. Follow Nate’s advice to avoid getting slapped by Amazon’s delayed red flag process. Pretty incredible, don’t you think? But, that’s just the beginning of what you’ll get in my Celebrity Method Masterclass. One of the most valuable parts of the class is actually Module 5. In this module, you’ll get to hear from my personal Facebook ad consultant and hear how he's helped me with my funnels -- the same types of funnels I teach you to create in the Celebrity Method. The truth is, social media advertising is a $35 billion dollar industry. And Facebook makes up a fair chunk of that ad spend. Facebook advertising generates boatloads of revenue for entrepreneurs every day. Yet, if you get it wrong you'll easily waste thousands of dollars. In Module 5, you get to learn the exact strategies my ads guy uses to generate revenue for me and dozens of other clients. And again, you’re getting all of this for a fraction of that fee. Now, you may be wondering why I would gather all these experts together and get them to reveal their secrets to you? First, I remember when I first started my business and had the burning desire to be a successful entrepreneur (it was all-consuming in my mind), and this is one of the programs I wish I had back then. Since you’re a fellow entrepreneur, I know this masterclass (if put to use) can make you millions of dollars and I want to help you become successful. I'm already teaching you some very successful marketing strategies in my book, The Celebrity Method: How Almost Any Entrepreneur Can Transform Themselves Into a Celebrity and Make Millions Thanks to the Power of TV. Of course, I want you to be as successful as possible with my program. And I know that the experts I've lined up will help you do that. My Masterclass also includes two bonus interviews. As a former copywriter and long-time entrepreneur, I know first-hand how profitable really good copywriting can be. And that's why when you join the Masterclass, you'll also get a 45+ minute interview with Kevin Rogers. Kevin Rogers is a former stand-up comedian, a control-winning copywriter, entrepreneur, and the founder of Copy Chief, a forum which connects copywriters and entrepreneurs. How Kevin went from stand-up comedian to successful copywriter and founder of a growing copywriting community. The surprising way Kevin got his first paying gig (if Kevin can do it, anyone can). The secret three-letter formula Kevin created for writing compelling copy… and how this turned into his 60 Second Sales Hook book. How Kevin completed his book in under 60 days using the same simple process recommended in the Celebrity Method. The one thing all copywriters know you MUST do with your marketing (Kevin reveals it in minute 12). Discover the three paths available to every freelancer, and how to decide which works best for you. “How do I figure out what to price myself at?” Kevin reveals the question he insists you ask yourself… plus his easy formula for quoting fees. Kevin’s list of must-follow copywriters for improving your writing skills. Kevin’s “bullet the product” process for creating compelling sales copy you'll definitely want to include the next time you write. The “golden moment” right before you know too much and can’t write cold copy… and Kevin’s tip for capturing the moment before you lose it. Kevin reveals Halbert’s “looping” process for coming up with better ideas shared by stand-up comedians and the late Gary Halbert. Why the “dirty first draft” is so important to writing quickly…and Kevin’s “Onion Secret” for getting the words to flow more effortlessly. This interview is included FREE and immediately when you join the Celebrity Method Masterclass. To give you even more value when you join the Masterclass, you'll also get immediate access to a second exclusive interview. Doberman Dan is a an A-list copywriter and the author of Just Sell the Damn Thing. Doberman Dan's background and the early businesses which failed… and the single marketing course (still available!) which propelled him to the success he is now. Dan’s “words on paper” revelation which caused him to shift his business focus from his failed ventures to selling bodybuilding programs in magazines. How Doberman Dan got the attention of famous copywriter Gary Halbert… and worked alongside him for several months in Costa Rica. The REAL reason hand copying successful ads works, and why Doberman Dan and Gary Halbert recommend it to new copywriters. Doberman Dan’s copywriting process from A to Z, including what he looks for in a copywriting job. The one thing Doberman Dan NEVER focuses on first when he sits down to write copy… and what he prioritizes instead which gets him such good results. Dan’s tips for getting started when you’re facing a blank page and don’t know what to write. How to price yourself as a “hired gun copywriter” and Dan’s #1 tip for getting the high fees you want. (minute 22). The kind of companies which give royalties and how much royalty you should expect to make. What to put into a contract to avoid getting ripped off in royalty deals. The sneaky, non-pushy way Dan used LinkedIn to get copywriting gigs… even when he wasn’t a known copywriter at the time. Together, these exclusive strategies and insider tips from the 8 experts you've seen above could be worth thousands of dollars in new sales for your business. Having worked with a few of these guys myself, I know how valuable their insights really are. And because you're a savvy entrepreneur, I know that you'll be able to take their advice and implement to rapidly boost your bottom line. Just an hour with each of these marketers would easily cost you over $800. But your cost today for access to all six modules is only $497... less than the cost of an hour with just one of these experts.